The architectural concept is defined by the interaction of this custom beach house with its environment. The vacation home in Rehoboth Beach provides water views from almost every room while incorporating sustainable design and a minimalist, seaside aesthetic. The linear, open floor plan features 10’ ceilings. At the top of the ‘turret,’ a third-floor home office offers inspiring 360-degree views of both ocean and canal. A modern, floating staircase lends to the eclectic nature of the interior, while playful design elements such as a wood compass floor inlay and turquoise vanity sink speak to the homeowners’ character. Private and public balconies overlooking the canal, and an over-sized deck and front porch blur the line between interior and exterior. The left side of the house was angled at 20 degrees to open and maximize views, and follow the shape of the lot. 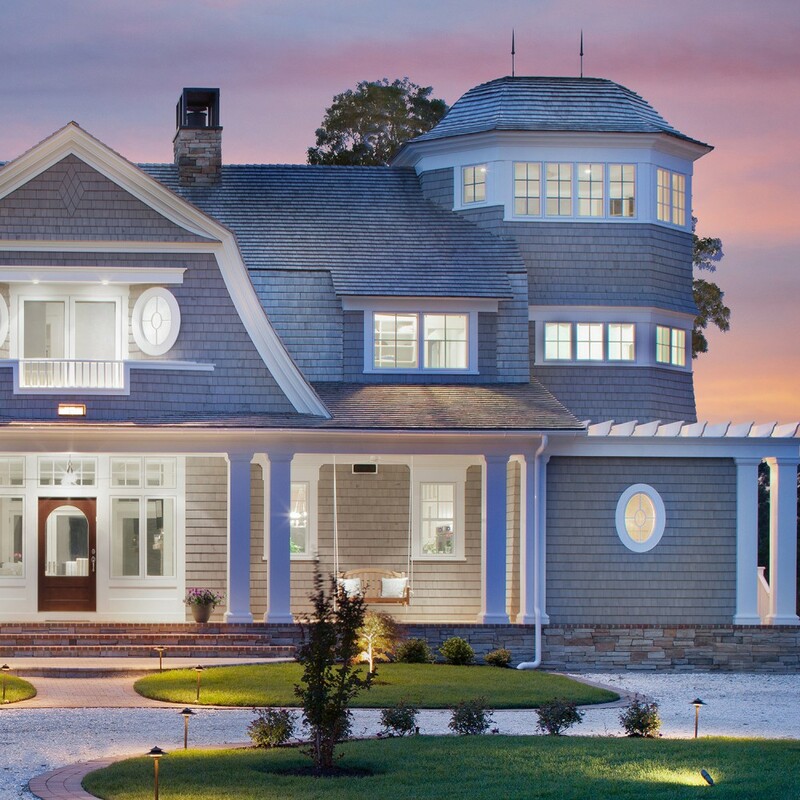 Sustainable design elements including geo-thermal heating/cooling, high-efficiency windows, and a crushed seashell driveway create harmony between the home and its environment.